For centuries, Polish weddings were celebrated with a long church ceremony that included only close friends and family and abided by many superstitions. For example, to preserve her good luck, the bride had to wear closed-toe shoes (so that luck doesn’t escape through the toes), avoid pearls (as they bring a lifetime of misery) and be careful not to trip over her veil or look back when she walked down the aisle. 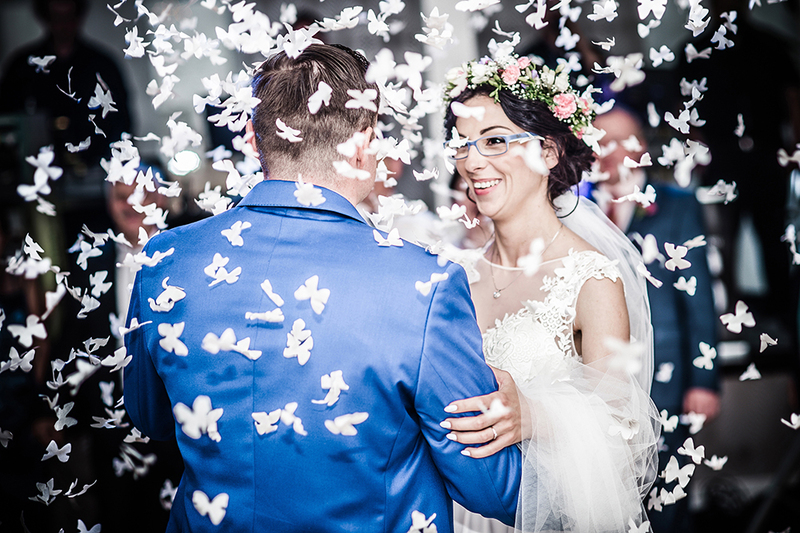 Traditionally, weddings were held only during ‘good luck months’ – those that contained the letter R in their Polish names such as March (marzec), June (czerwiec), August (sierpień), September (wrzesień), October (październik) and December (grudzień). When the newlyweds exited the church, Polish guests showered them with grain, though later on that was switched to coins – both to bring good fortune. The reception began when the couple’s parents presented them with specially baked bread and salt, followed by shots of vodka. 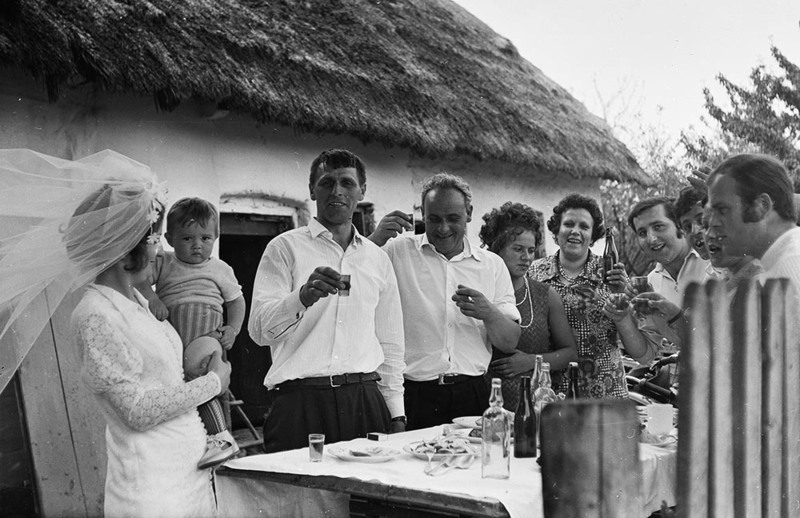 Symbolically, the bread signified that the couple would never go hungry, the salt warned them to cope with life’s difficulties, and the shots – one filled with vodka, another with water – would determine who would rule the household. The glasses were then tossed and broken for good luck. Throughout the evening, guests chanted ‘gorzko gorzko’ or ‘bitter, bitter’ to make the newlyweds kiss. And at midnight, the bridal veil was removed and her long braid cut and unbraided in a ceremony called oczepiny, which symbolised her transition from girlhood into a married woman. Then, the eating, drinking and dancing continued for three or four days. 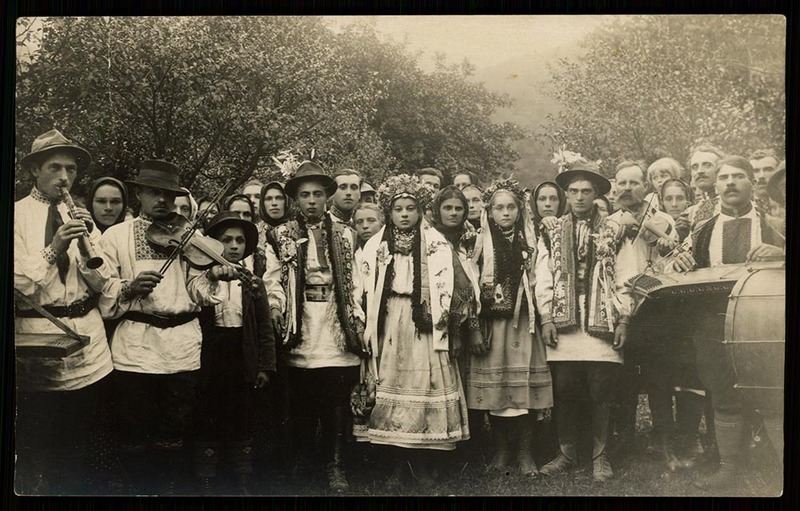 In the 20th century, while many European and former communist nations abandoned their old wedding traditions, Poland kept or adapted many of them through the communist regime and even into the first two decades after its fall. Experts from the local wedding industry say that even today, many rural weddings continue to be the huge, long, rowdy affairs of yesteryear. However, more and more couples getting married in bigger Polish cities or abroad are now choosing smaller, modern, Western-style weddings in place of tradition, creating an interesting duality that may be unique to Poland. The shift away from traditional rural weddings can be largely attributed to money. Today’s urban couples tend to get married later in life and often foot the bill by themselves instead of getting help from their parents. That means they get to choose how to celebrate their big day rather than following in their parents’ footsteps. Our couples are more visually educated and more assertive.They often ask wedding planners for help instead of their family or friends. Warsaw-based wedding planner Anna Grzegórska, who has run Warsaw-based company Beautiful Day since 2007, agreed. She said more couples are seeking planners to help them create a celebration inspired by images from Western European and American weddings that they find on sites like Pinterest and Instagram. They spend hours searching for inspiration and they know what they want. What they want is a celebration that’s far from the traditional Polish wedding. Many couples skip the church and choose a civil ceremony outside in parks, gardens, forests and barns. They are changing the typical schedule of their day, moving everything from the ceremony to the cake-cutting, which was traditionally done at midnight. And it seems that wedding guests have also caught on because chanting gorzko, gorzko is now often considered crass. Another significant change is a shorter, simpler oczepiny, which was followed by games that in past few decades often got quite bawdy. It’s nice that those competitions are going away because some were very crude. Sometimes, all that is left of the oczepiny in today’s city weddings is the bride throwing her veil or bouquet into the crowd of female guests – which of course is reminiscent of a Western custom as well. The only other long-standing Polish tradition often kept at today’s urban weddings is the bread, salt and shots of vodka that parents offer the newlyweds at the onset of the reception. Other superstitions such as avoiding open-toe shoes or wearing pearls have all but disappeared. Even the traditional white dress is no longer the obvious choice for brides. Polish women are now trying on gowns in colours like sand, champagne and light gold offered at a new breed of bridal salon like Warsaw’s Atelier Laurelle. Five, ten years ago, everyone wore very big, glittering dresses full of lace – a dress for a 300-person wedding. We wanted to create haute-couture, tailor-made dresses from the best fabrics that are simpler and sexier, 'Hollywood style'. And we wanted the bride to have a more luxurious shopping experience. 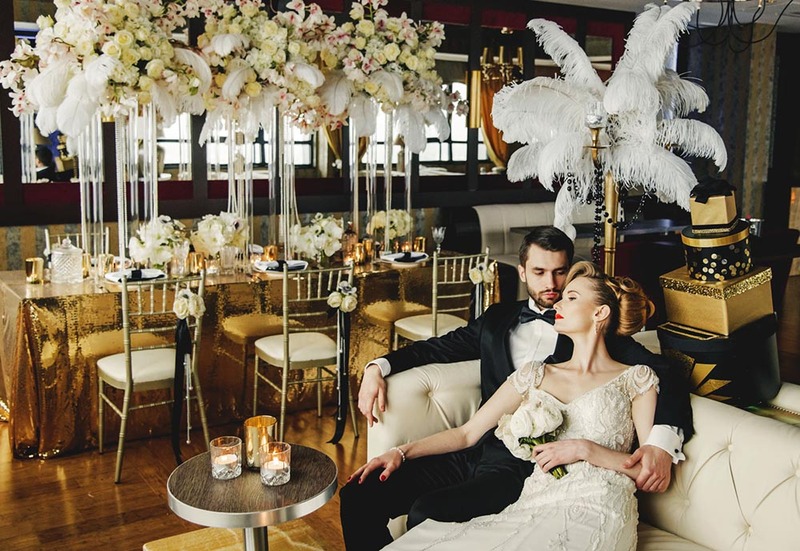 Their salon, located in Warsaw’s Belvedere Residence, is not unlike top salons in Paris or Manhattan – brides get a private appointment, where they talk to a consultant while sipping champagne and trying on wedding gowns. The price reflects that experience as Laurelle’s dresses cost about twice the national average. But they don’t lack in customers, which includes not just the elite but many professional women who work to save for a dress of their dreams. Although still rare, tailor-made wedding gowns are actually not a new tradition in Poland. Feder, who comes from a long line of tailors, explained that after World War II, tailor-made dresses were the only option because the country’s store shelves were empty. In the 1970s, that began to change and by the 1990s, tailoring was a dead market as everyone went for foreign brands that flooded the nation. But today’s trend for customisation has made Feder’s salon boom because tailor-made clothes – and wedding gowns especially – are considered luxurious and desirable. Designer wedding gowns are just one part of the larger global trend that’s taking root in Poland: paying more attention to creating unique wedding day details from décor to flowers to lighting, make-up and groomsmen suits. 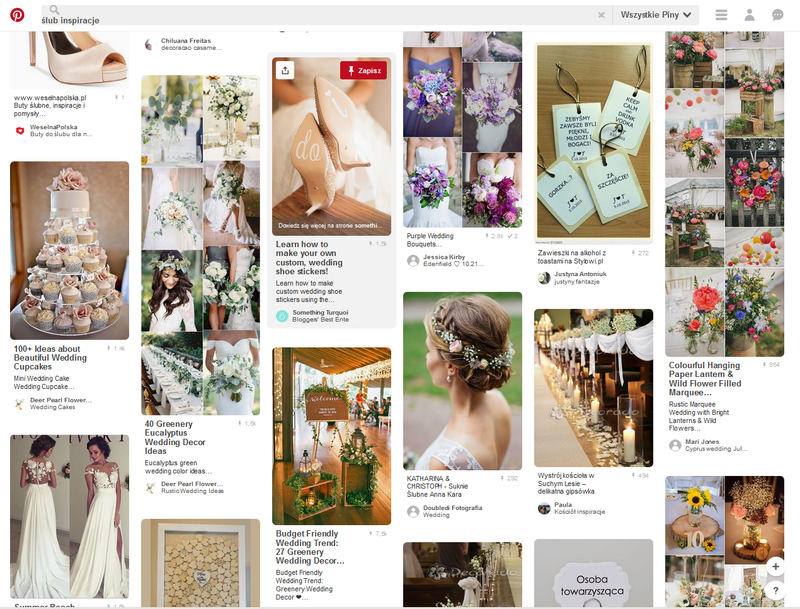 The trend is propagated by international wedding blogs and social media, which have ballooned in the past five years. For example, a few years ago, it wasn’t common in Poland for guests to confirm whether they will attend the wedding. But as city weddings became more intimate and sophisticated, couples began to borrow the RSVP etiquette from abroad. That, in turn, has its own effects on the couple. Being able to know exactly how many guests you have changes your catering and décor options and increases your need for more elaborate stationery, floor plans, menus and place cards. Such new details tend to make urban weddings more elaborate than rural ones, where a white tablecloth full of food and drink is often all the décor there is. I think village weddings are very nice. They’re not thinking about the style or about the music or if the wine should be red or white. I think it’s a little bit sad that in many of today’s [city] weddings the attention is focused more on the party and not on the ceremony or the fact that you’re saying ‘Yes’ for the rest of your life. Global trends will no doubt continue to influence how some Polish couples celebrate their big day, but it’s refreshing to see that Poland allows both the tradition and the new trends to peacefully coexist within one culture. Whether you’re hosting or attending a Polish wedding, the interpretation seems to be totally up to you.